Isotoner Genuine Leather SmarTouch Gloves Just $9.99! Ships FREE! You are here: Home / Great Deals / Christmas Deals / Isotoner Genuine Leather SmarTouch Gloves Just $9.99! Ships FREE! 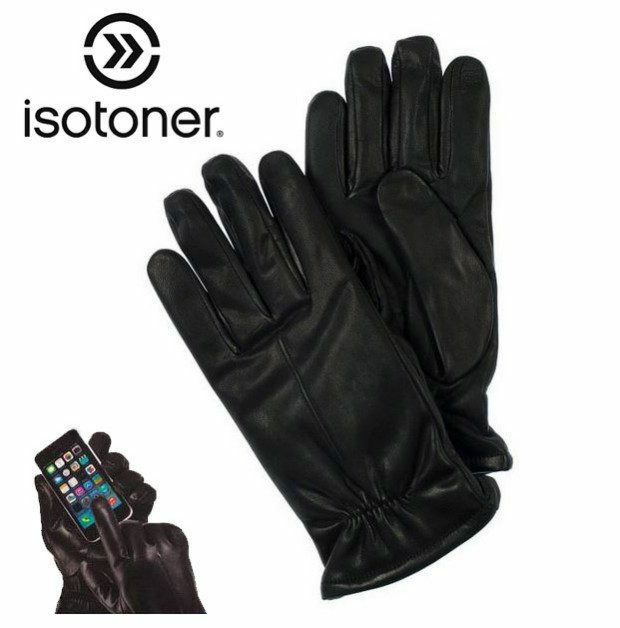 Order the Isotoner Genuine Leather SmarTouch Gloves Just $9.99! Ships FREE! Also available in additional colors! Now you can have the Isotoner quality combined with the functionality of smart touch gloves! These genuine leather gloves utilize invisible touchscreen technology with dyed to match conductive thread. What that means to you, is that not only do they function with pinpoint accuracy on your screen AND keep your hands warm; they don’t look like traditional “touch gloves”! Click here to check out more Great Deals!